Mineola , NY/Press/April 5, 2018 – Justin Bobko, Attorney with Grizopoulos & Portz, PC was selected for inclusion in the forthcoming Top Attorneys of North America 2018-2019 edition of The Who’s Who Directories. The accomplishments attained by Mr. Justin Bobko in the field of Legal Services, warrants inclusion into The Top Attorneys of North America. Whether you are accused of a crime or are injured due to the negligence of another the legal process can be a frustrating, confusing, and often overwhelming experience. At the law firm of Grizopoulos & Portz, PC you can rely on a legal team of aggressive trial lawyers who have 28 years of combined experience in criminal defense and personal injury to handle your case professionally and effectively. The firm serve clients in Nassau and Suffolk County and throughout New York City. 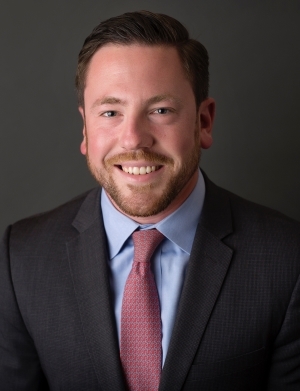 Justin Bobko is an associate attorney at Grizopoulos & Portz, PC. He specializes in criminal defense, traffic violations, and personal injury cases. In September 2013, Justin was appointed Assistant District Attorney by the Honorable Kathleen Rice, District Attorney of Nassau County. There, he served as a member of the District Court Trial Bureau, Warrant Rotation, Grand Jury Bureau, and County Court Trial Bureau. As a member of the District Court Trial Bureau, Justin specialized in DWI cases, where he successfully litigated and tried numerous cases involving impaired driving. During this time, Justin received specialized training in DWI proceedings from the New York Prosecutors Training Institute. After being promoted to the County Court Trial Bureau, Justin handled a diverse array of felony-level cases, including violent felony offenses, serious drug cases, burglaries, robberies, and economic crimes, from arrest through grand jury indictment and litigation. During this time, he was also one of two Assistant District Attorneys specially assigned to the investigation of complex arson cases. In the fall of 2016, Justin entered private practice, and has since defended those charged with both misdemeanor and felony offenses. He has successfully defended the rights of those accused of crimes throughout the criminal law process. Justin is a graduate of Washington and Lee University in Lexington, Virginia. He received his law degree from the Case Western Reserve University School of Law in Cleveland, Ohio, where he specialized in Criminal Law. Justin is an attorney in good standing admitted in practice law in the State of New York. Be the first to comment on "Top Attorney – Justin Bobko"